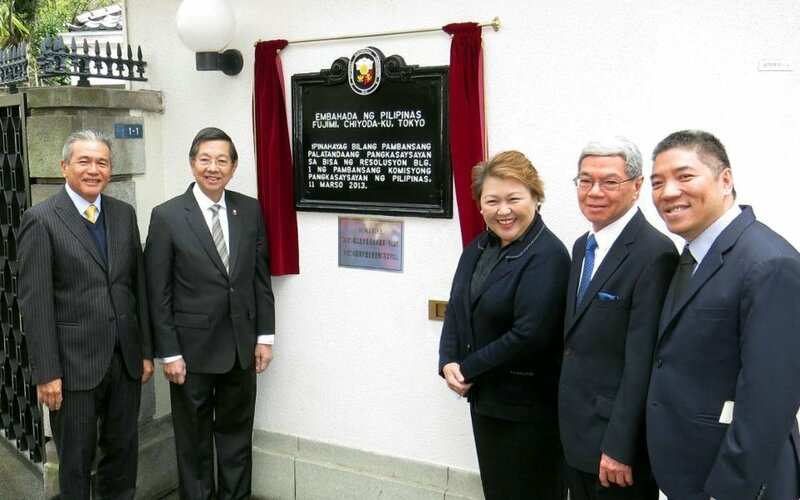 Chiyoda Ward, TOKYO – The Official Residence of the Philippine Ambassador to Japan became the latest addition to the national registry of Philippine historic sites and structures today, with the unveiling of a historical marker today at the property in Tokyo’s central Chiyoda ward. The unveiling completes the Official Residence’s elevation into a “National Historical Landmark” pursuant to Resolution No. 01, Series 2013 adopted by the National Historical Commission of the Philippines (NHCP) on 11 March, last year. Philippine Ambassador to Japan Manuel M. Lopez and National Historical Commission of the Philippines (NHCP) Chair Dr. Maria Serena I. Diokno presided over the ceremony, which was witnessed by officials of the Philippine Embassy and the Japanese Foreign Ministry. Also in attendance were guests led by former NHCP Chair Dr. Ambeth R. Ocampo and the Laurel family, represented by current Philippines-Japan Society, Inc. President and Director Francis C. Laurel and former Philippine Ambassador to Brazil Jose Macario Laurel IV. 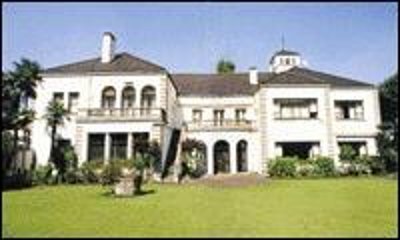 Located within a 4,500-square meter property of the Tokugawa Shogunate, the Iberian-style residence was first built in 1934 by the family of the prominent businessman Baron Zenjiro Yasuda, whose descendants include the international artist Ms. Yoko Ono. On 31 March 1944, then President Jose P. Laurel purchased the property for the Philippine Government. In succeeding years, the Kudan – as the residence is also referred to on account of its location near the Kudanzaka hilltop — became both the official home in Tokyo of Philippine Ambassadors to Japan, and a central venue for the conduct of Philippine diplomacy and cultural promotion, functions it continues to vitally serve to this day. “This is a historic and momentous occasion that honors the history and national patrimony of the Philippines”, spoke Ambassador Lopez during the rites, as he thanked the NHCP, DFA, DOF, the Laurel family, former Senator Aquilino Pimentel, Jr., the Philippine Ambassadors Foundation Inc. (PAFI) and other concerned citizens who opposed previous attempts to dispose and privatize the property. “Kudan is the crown jewel of the Philippine Foreign Service, and we should preserve this important part of our diplomatic legacy and heritage. With the adoption of the NCHP resolution, Kudan became the first and so far only officially-designated Philippine national historical landmark outside of the country.